"A visual novel with some surprises!" 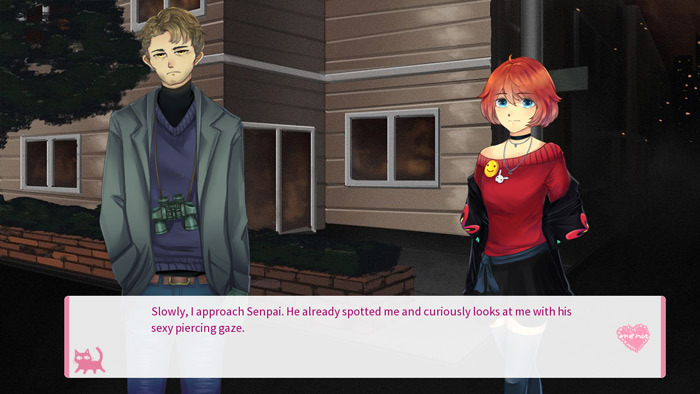 Stalker & Yandere is a visual novel, where you play as Yandere Chan (although the protagonist here doesn’t actually bear that much of a resemblance to our favorite Yandere Chan, who can be found in Yandere Simulator here) who has an attraction to the strange boy who stands around outside near to her house every single night with a pair of binoculars. With Yandere Chan’s parents away for the evening will she seize this opportunity to finally invite Senpai in for a coffee? Stalker & Yandere actually had a few parts to it that were not particularly comfortable, for example at the start playing in to very typical male and female stereotypes which seemed a bit old fashioned, such as dreaming of Senpai fighting for her to save her honor, there are also a couple of parts later in the conversation that may make some players feel a bit uncomfortable. However our dear Yandere does start to sound like the character we know and love from the Yandere Simulator games at the very end of this game. 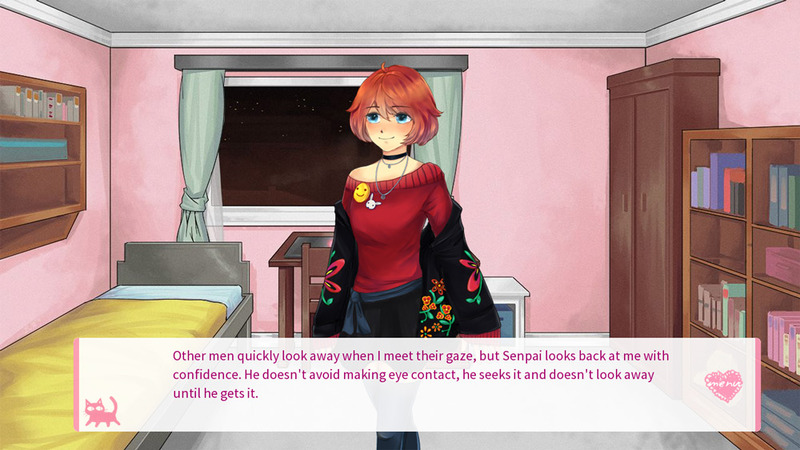 The visual novel is very short and admittedly quite interesting however you can’t help but feel that the title and the character name of Yandere Chan has only been used to try to gain popularity faster than other games in its category due to everyone already being so familiar with the original character but the person who features in this visual novel is not the Yandere Chan that we know from Yandere Simulator in looks or personality.